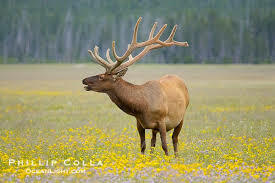 This elk has very large racks. He is an elk hunter’s dream. The problem with hunters concentrating on such bulls, is that each kill removes genes for majestic racks from the elk population.